Ray Black Jr. Looking Forward to Season Wrap Up at Homestead-Miami Speedway - Ray Black Jr.
FLAGLER BEACH, Fla. (November 16, 2016) – NASCAR XFINITY Series (NXS) driver Ray Black Jr. is ready to wrap up his rookie year in the racing league in front of friends and family this weekend at Homestead-Miami Speedway. The 25-year-old driver of the No. 07 ScubaLife.com Chevrolet is based out of Flagler Beach, Fla. and is excited to have the chance to show some of his biggest supporters what a weekend at the track is like for him. As Black’s rookie season in the NXS comes to a close this weekend, he noted how while he and his SS Green Light Racing team had their ups and downs, overall they had fun and made a lot of progress. With just one race remaining on the season, they have collected two Top-15, nine Top-20 and 19 Top-25 finishes. For Black, some of the season’s high points came at two completely different styles of tracks. Overall, Black believes one of the biggest lessons he learned from the 2016 season dealt with attitude and how big of a factor it can play in racing. Fans can catch Black competing in the Ford Ecoboost 300 at Homstead-Miami Speedway on Saturday, November 19 at 3:30 p.m. EST. Live race coverage can be found on NBCSN and via MRN Radio. 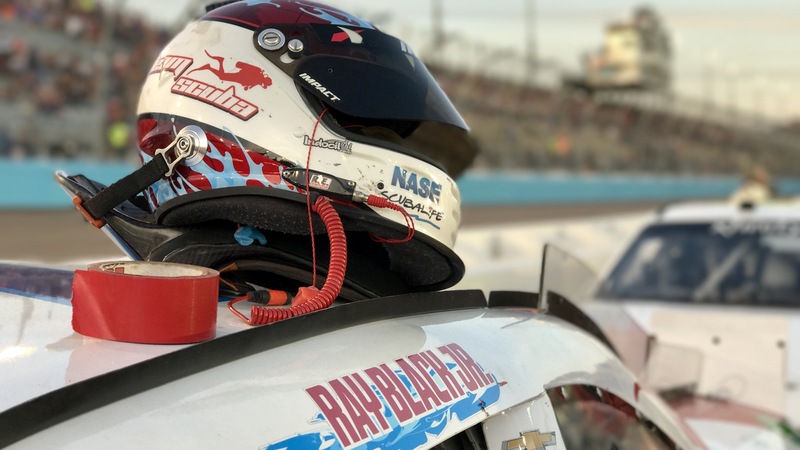 Keep up with Ray Black Jr. by following him and his sponsor, ScubaLife, on Facebook, Twitter and Instagram at @RayBlackJr and @TeamScubaRacing.